UNITEK 10-Port USB Charging Station Just $29.14! Down From $120! You are here: Home / Great Deals / Amazon Deals / UNITEK 10-Port USB Charging Station Just $29.14! Down From $120! Amazon has this UNITEK 10-Port USB Charging Station for just $29.14 (Reg. $120) when you use promo code 4TXYKBF7 at checkout! 10 PORT USB DESKTOP CHARGING STATION – Charges up to 10 devices at once. Rapid charging with BC1.2 technology, provides up to 5V2.4A of power per port. Keep your smartphone, tablet and other devices organized on your desktop or counter. The PowerPort is 60W. 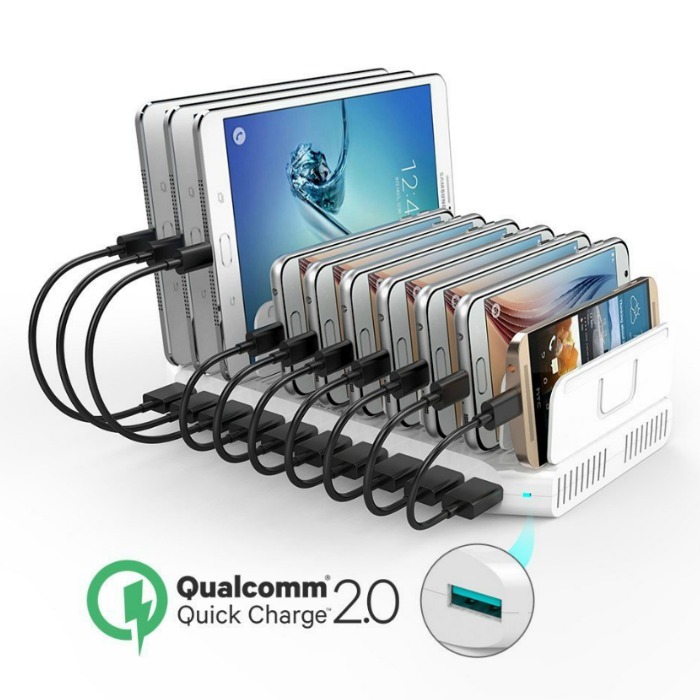 QUICK CHARGE 2.0 – The 1 charging port with Qualcomm Quick Charge 2.0,which allow cetain Qualcomm Snapdragon based devices charge up to 75% faster than devices that use conventional charging methods. CERTIFIED SAFETY – UL certification and UNITEK’s Multi-Protect safety system ensure complete protection for you, your and your devices. Worldwide AC 100-240V input voltage.Rated DOE Level 6 for energy efficiency.